Weight loss (bariatric) surgery is generally considered an extreme measure, and the NHS does not perform it lightly: there are a number of risks associated with the procedure, but it has been found to be effective in patients with or without diabetes. Permanent procedures are more effective in the long-term. However, because they rely on the performance of open surgery, the risks are significantly higher. Temporary options are comparatively safe, and, unlike permanent procedures, they can be reversed. Almost all of these procedures rely on strict, disciplined dietary improvements to be successful in the long-term. Read through a comprehensive list of bariatric surgery options, including descriptions and comparisons of each option. What follow-up care do the guidelines recommend? Regarding follow-up care, NICE recommends that the NHS "offer people who have had bariatric surgery to people with a BMI of 35 or over who have recent-onset type 2 diabetes as long as they are also receiving or will receive assessment in a tier 3 service (or equivalent)". These guidelines have been in place since November 2014: previously, bariatric surgery was considered to be very much a "last resort". The threshold changes themselves were not huge, but the new guidelines represented a change in how bariatric surgery was viewed. By including weight loss surgery as part of a carefully considered, long-term weight control plan, NICE rejected the view of weight-loss surgery as an extreme, desperate measure. The guidelines do not suggest that weight loss surgery should replace healthy eating and exercise for overweight people: quite the opposite, in fact. One of the biggest misconceptions about weight loss surgery is that it is a desperate measure that deals with the problems of being overweight entirely. When in fact, weight loss surgery is only effective if coupled with lifestyle changes. The new guidelines from NICE suggest that more emphasis should be placed on the lifestyle changes that come with weight loss surgery as part of a general healthcare package. 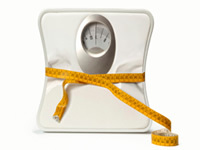 Weight loss surgery is considered an extreme option: each procedure carries the risk of complications and side effects. Permanent surgery is the most dangerous option, but any kind of weight loss surgery needs to be seriously considered. What are common complications of weight loss surgery? Procedures involving open surgery carry additional complications such as wound infection and even death.